If you’ve ever tried to lose weight, you’ll know that even shedding a few pounds can be tough. Despite our best efforts to exercise regularly and eat a healthy diet, it can be difficult to meet our weight loss goals. The good news? Advances in medical and cosmetic science have made it possible for us to shrink fat cells quickly and easily. Lipo Laser is a non-surgical procedure that originated in Europe. To the excitement of many Canadians, this treatment has been approved by Health Canada as a safe and effective body contouring tool. Traditional liposuction has many drawbacks, like long recovery time and sagging skin in some patients. Lipo Laser, on the other hand, is a much simpler procedure. Let’s examine what laser fat reduction entails, and whether this route is right for you. During each session, a cold laser is used to target hardened fat tissue. The neighbouring tissues, such as peripheral nerves and blood vessels, are left untouched. Lipo Laser works by penetrating the first few millimetres beneath the skin. This is where stubborn fat cells usually lie. The laser temporarily disrupts these fat cells so they can be ‘drained’. The cell’s contents are seep through the lymphatic system as triglycerides, which are a type of fat. This matter is then broken down, metabolized and expelled from the body through the urinary tract. As with any type of cosmetic procedure, it’s crucial that you’re medically healthy to undergo laser therapy. Lipo Laser is not designed to be a solution for obesity. That’s why according to the Canadian Society of Plastic Surgeons, all candidates must be within 30% of their ideal body weight. Lipo Laser sessions are conducted in a relaxing environment. Be sure you’re receiving the treatment from a reputable clinic like Physiomed that has experience in such procedures. Sessions generally take about 20-30 minutes whereby a technician will inundate targeted areas with laser energy. After therapy, patients receive coaching on nutrition and exercise which will help to enhance results. Some patients may notice results immediately, but the majority will have to return for multiple sessions. Most require 6-8 treatments to notice maximum results. In terms of frequency, two treatments per week for four weeks are typically recommended. Your clinician, however, will create a customized schedule depending on your weight loss goals. 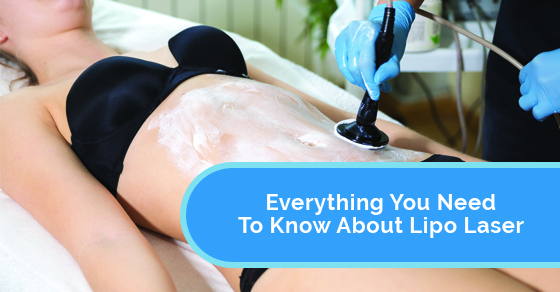 Because Lipo Laser is a non-invasive procedure, no downtime is necessary. Patients can continue working and taking part in all their daily activities. Your clinician will most likely recommend 30-45 minutes of exercise after each session.This will help metabolize all the fat calories that have been drained from storage. Exercise will also stimulate your lymphatic system. Walking, cycling or a light jog on the treadmill are great ways to get your body moving. And be sure to drink lots of water as this will help flush out all the fat matter released during treatment. As mentioned earlier, the goal of Lipo Laser is to shrink fat cells by emptying them -- not destroy them completely. This means the cells are capable of storing fat again. The only way to ensure long-lasting results is to exercise regularly and maintain a healthy diet. So avoid sugar and alcoholic beverages, and try to incorporate healthy doses of lean protein. As long as you burn more calories than you take in, you should be able to maintain the benefits of Lipo Laser therapy. This innovative procedure is changing the lives of health-conscious Canadians across the country. Whether you’re trying to shed the last 10 pounds of your pregnancy weight or struggling with problem areas despite vigorous exercise -- consider Lipo Laser. This safe and effective procedure can transform your body, and help you gain back the confidence you deserve. For more information on Lipo Laser, please call Physiomed at 289-925-3877 or contact us here. Sounds amazing. Cost per session?